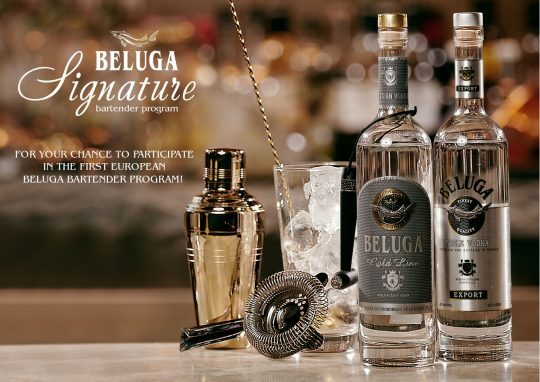 As part of a world-wide initiative, Beluga vodka is proud to announce the launch of the fourth edition of Beluga Signature, an on-trade multistage bartender program encompassing an educational component and creative competition in seven major markets across the world. Top level bartenders from Russia, France, Germany, UK, Spain, Italy and India will have a unique opportunity to travel to Moscow and compete with the best for the title of Beluga Signature Global Ambassador 2020 presenting oneself, winning cocktail and Beluga brand at the most significant global industry events (Bar Convent Berlin, Tales of the Cocktails, Bar Convent Brazil) as well as promote the program next year. On top of that the winner receives a one-week internship in one of the 50 World’s Best Bars upon one’s choice. Unlike many other competitions Beluga Signature rewards most of the participants at the early stages. Those who decide to take part in the challenge are required to submit a classic vodka cocktail with a local twist via www.beluga-signature.com by 28th February 2019. As a result of the online shortlisting 30 participants from each country will receive a full day of education from the best industry experts under the leadership of the spirits scene guru and Beluga Signature educational Director Philip Duff. Commencing at beginning of April, Beluga Signature Bartender School is aimed contributing to the bartending community education, while pushing the boundaries of creativity and high-end mixology as well as building and strengthening understanding of the brand values. To make sure all masterclasses are saturated with research, up-to-date information and the latest trends Beluga vodka will engage award-winning speakers around the world. In order to continue last year’s theme of “The Profession of Modern Luxury”, this year we invite bartenders to learn “Delivering Luxury Experiences to Guests”. “Last year’s feedback was overwhelmingly positive, so we decided to go deeper in the topic” – says Philip Duff. “The hospitality industry is centered on the guest whose satisfaction is a main marker of success in a bartender’s career. Last year the seminars were about building a profitable bar, reading your guests and creating cutting-edge flavors using avant-garde techniques. This year we will talk about consistency of the luxury service, creating a memorable experience for your guest and, most importantly, applying your creativity consistently. Needless to say, everyone who gets through the initial shortlisting to attend these private seminars is a winner already! 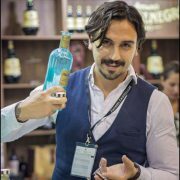 ” –concludes Duff.”Featuring a stellar lineup of renowned speakers, including last year’s winner and current Beluga Signature 2019 Ambassador Alessandro Venturi (Hotel La Griffe, Rome), the program opens its doors to carefully selected bartenders that submit their entries by February 28th via beluga-signature.com. “As a current Global Champion and a person who went through this outstanding experience I encourage everyone to enter. Not only is it a great challenge that taught me so much and let me grow in my career! The prize is truly amazing: on top of all the travels and industry happenings I spent 1 week in Singapore as an intern in the innovative Operation Dagger (#23 in the 50 World’s Best Bars ranking)“ – says Alessandro Venturi. Following the educational stage, all the School attendees will receive a creative task and pass online selection through beluga-signature.com website. 10 shortlisted contestants from each country will have to present their creations in front of the panel of judges in May. Right on the spot, based on performance, skills and knowledge, the only winner will be crowned the Country Champion and start packing one’s tools for the unforgettable trip to Moscow. In the beginning of September 7 Global Finalists will meet each other and share an incredible Russian experience as well as take part in the Beluga Signature Grand Final competition on September 9th, 2019.